Tag Archive | "Post travels"
The Post travels to Washington D.C.
Posted on 23 June 2016. Tags: Joe Marckini, Post travels, Washington, Washington D.C.
Marckini shakes hands with Roberto Rodriguez, Deputy Assistant to the President for Education Policy. School Board Trustee Joe Marckini recently traveled to The White House, in Washington D.C., to advocate for our Cedar Springs Public Schools. 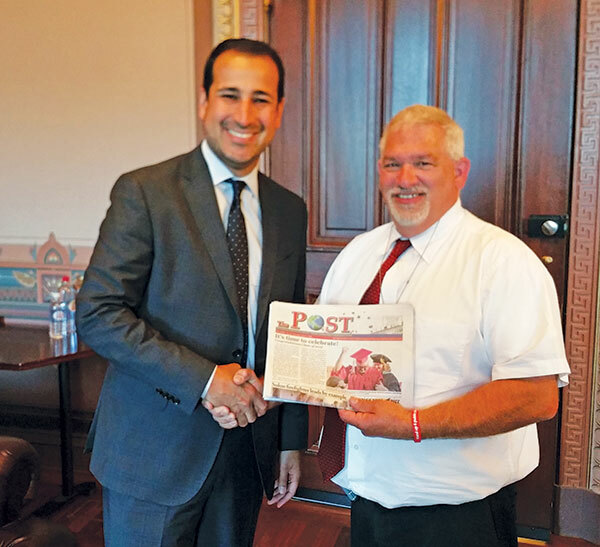 Mr. Marckini met with Roberto Rodriguez, Deputy Assistant to the President for Education Policy. Trustee Marckini is passionate about serving the students and citizens of Cedar Springs and is a champion for public education throughout our nation. Thank you, Joe, for advocating for our school district, and for taking the Post with you! The Drier family in Montana. 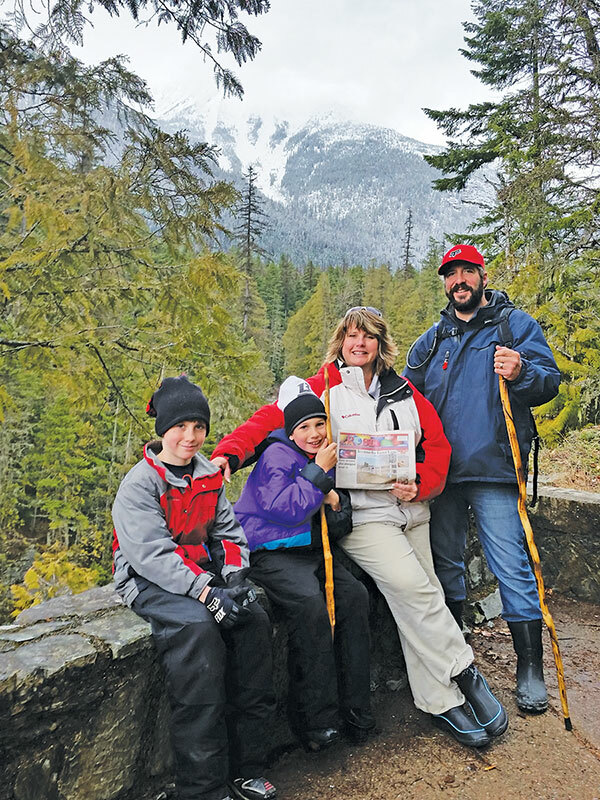 The Post traveled to Lo Lo Hot Springs Montana over spring break with the Drier family—Andy, Valerie, and their sons, Joseph, age 10, and Benjamin, age 8. They were there visiting with family. Thanks so much to Andy, Valerie, and the boys, for taking us along! The Rev. Robert Baker and wife Patti, of Oakfield Township, traveled to Haiti earlier this year. Rev. Baker had previously spent 13 years in Haiti, with 10 as field director for the Baptist Haiti Mission, formerly based in Rockford. The home office is now in Louisville, Kentucky. Rev. 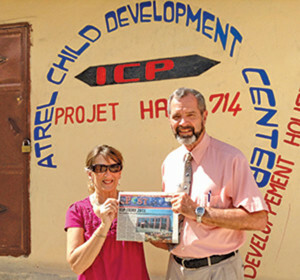 Baker returned to Haiti in January to do some seminars for church leaders. “I will return in May to do the same thing,” he said. 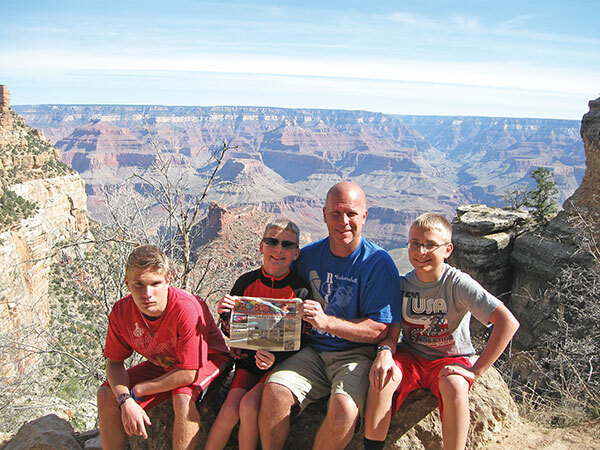 The Post recently spent some family time with Walt Bouck, Pam and Cole Guarisco, and Brenda, Shane, Tyler and Trevor Robart in Tuscon, Arizona. 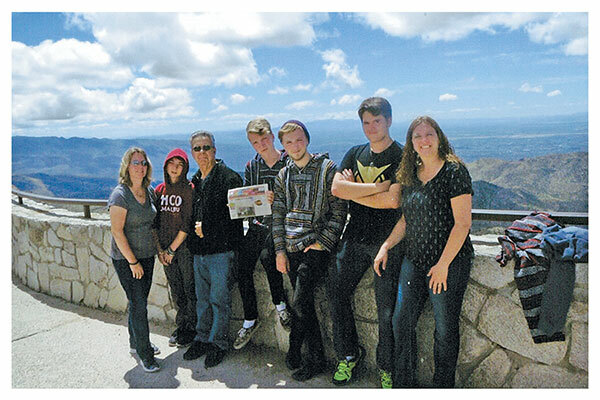 Their photo with the Post was take at Mount Lemmon. They also visited Tombstone. “It was so beautiful. God is great,” remarked Pam. 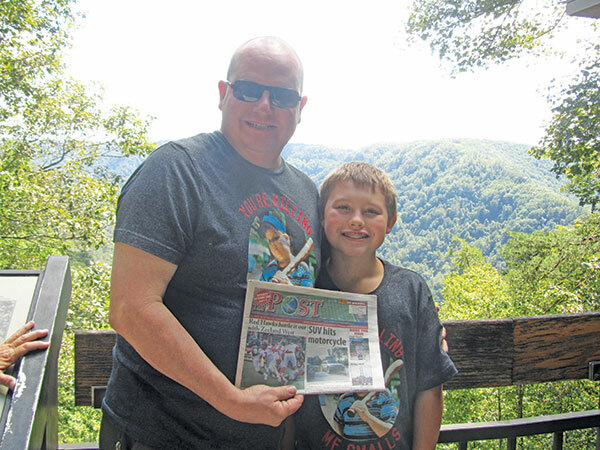 Dylan Kolasa and Caleb Bowen spent their spring break traveling to Colorado with family. 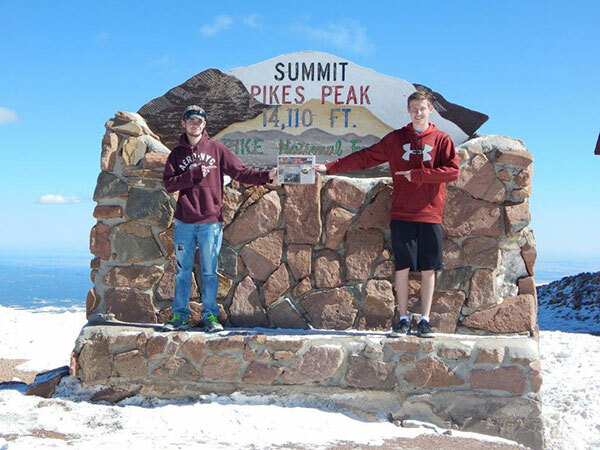 While there, they made the road trip up to Pikes Peak, elevation 14,110 ft. Thank you to Dylan and Caleb for taking us with you! 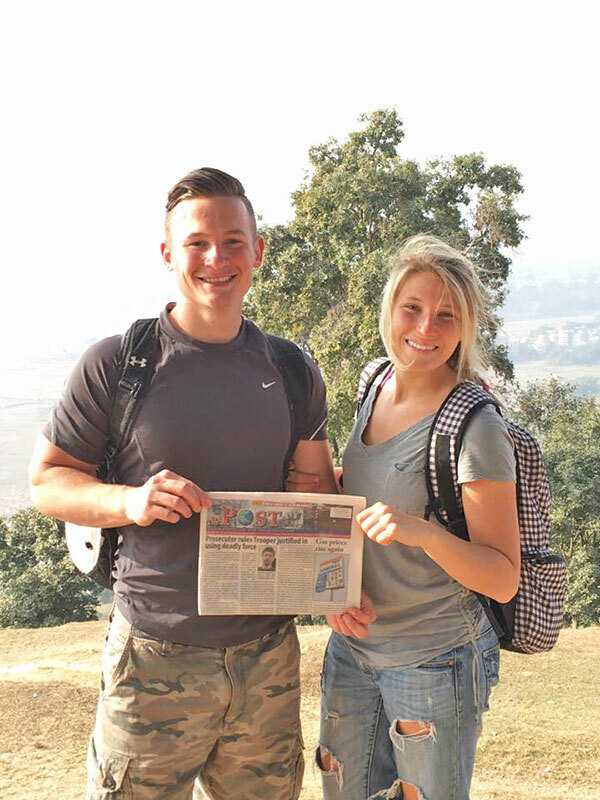 James Putnam, a 2011 graduate of Cedar Springs High school, and his wife Shelby in Nepal. 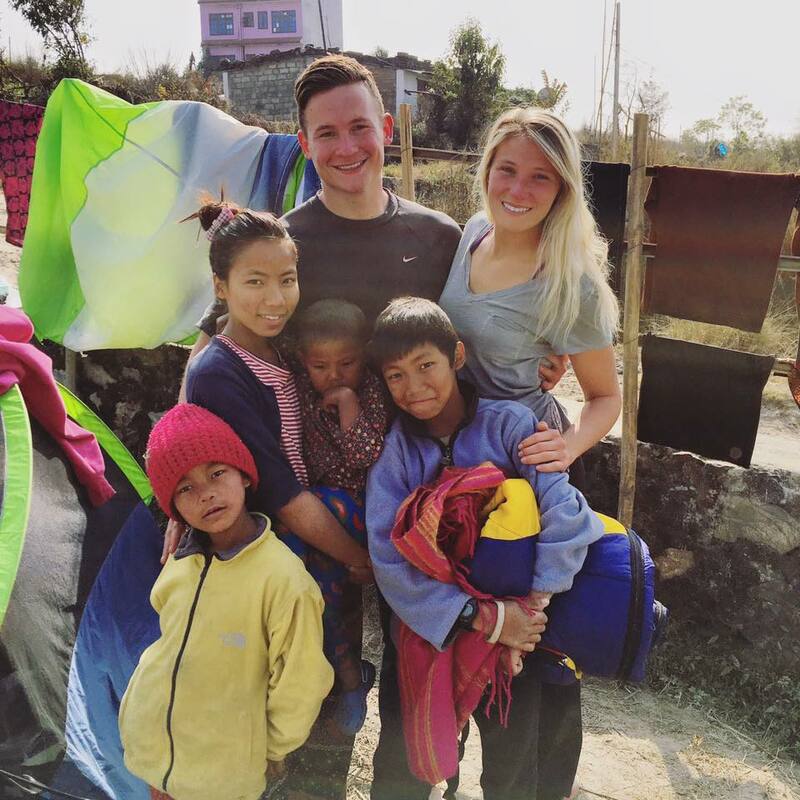 James Putnam, a 2011 graduate of Cedar Springs High School, and his wife, Shelby, traveled to Nepal recently on a short missions trip. The village they stayed in was about an hour outside of Katmandu, the capital of Nepal. While in Nepal, James and Shelby lived in a refugee camp with a small community of Nepali people who had recently lost their homes during the earthquakes this past spring. While they were there, they (along with 20 other team members) were able to help build new shelters, made a water drain system to protect the village from flooding during the rainy season, and even leveled ground for a soccer field for the children to play on. During the evenings, they bonded with the Nepali people over a campfire as they shared a meal and sang songs. James and Shelby Putnam with children in Nepal. blessings we have been given, and to bless others as a result of it. And most of all, that by serving others God’s love becomes tangible and t hat He is very pleased when we serve,” they said. Thank you, James and Shelby, for taking us with you to Nepal! Left to right: Laurie Bahmer, her niece Lisa, and brother Jeff Bahmer. 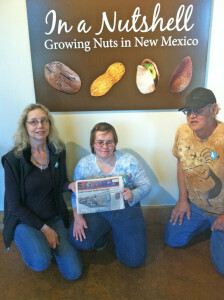 The Post traveled recently to New Mexico with Laurie Bahmer, of Howard City. 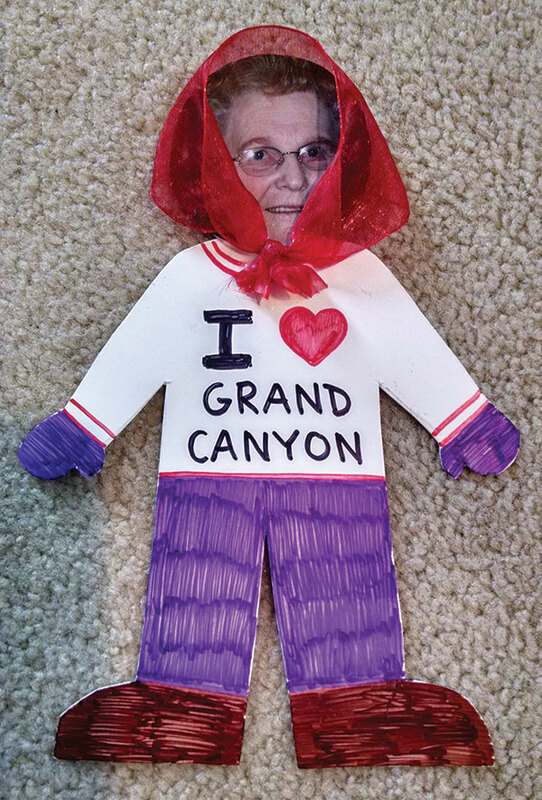 “My brother and his family live in Las Cruces, NM. I went to visit them, as I hadn’t seen them in many years,” she said. This picture of The Post with part of the Bahmer Family was taken at the New Mexico Farm & Ranch Museum on January 14th, 2016. This museum highlights New Mexico’s ranching and farming history with indoor and outdoor exhibits. “It is a working ranch and farm, and you never know from year to year what they will be growing in the fields,” said Laurie. She explained that the entire campus is 47 acres and in addition to the fields they have livestock corrals, Skaggs Dairy Barn, a sheep and goat barn, and a green house. “In the horse and cattle barn is a saddle shop featuring saddles made by the legendary saddle maker Austin ‘Slim’ Green. There is also a working blacksmith shop where people can actually apprentice!” she remarked. Las Cruces grows and exports pecans, peanuts, pistachios, and piñones. “Our favorite was dark chocolate covered pecans. Another of our favorites was Peanut Butter & Co All Natural Dark Chocolate Dreams. It tastes just like Reese’s but doesn’t have all that sugar. This is a peanut butter spread that they won’t let you take in your carry-on on the airplane. 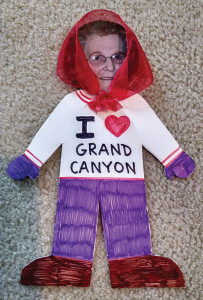 Next time we plan to mail it to ourselves,” she explained. 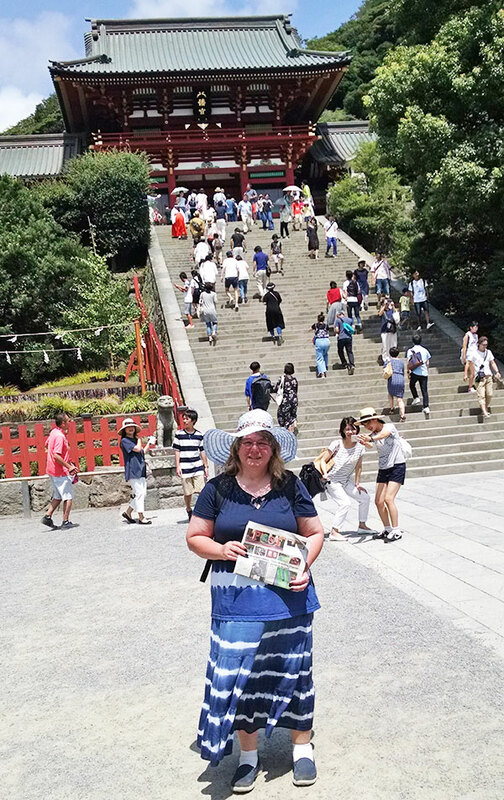 Thanks, Laurie, for taking us with you!